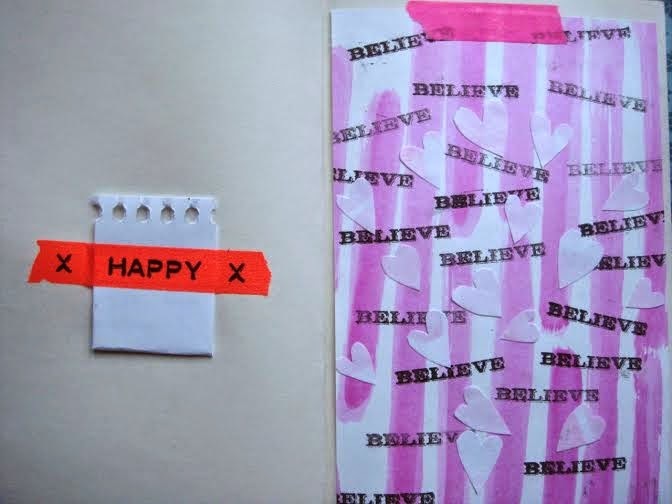 I have finally started my Art Journal with crafty people from GET MESSY ART JOURNAL programme. I haven't done anything like this before so I think it's going to be fun. There are so many inspiring art pages out there. I feel a little intimidated. 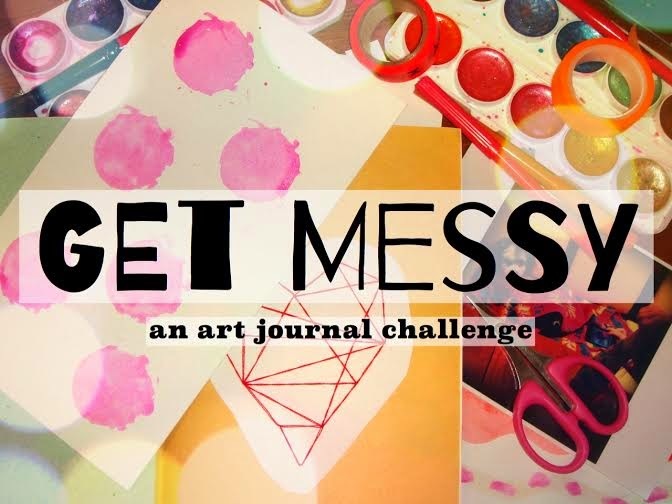 Here is my first art journal getmessy page for SET 3. I decided to do my art journal in a mrs stitches notebook. Journaling prompt suggested writing a love note to yourself. I used my favourite kids watercolours with glitter. I cut out hearts from paper I'd coloured before.